There's nothing I love more than finding a creative way to repurpose something that is no longer usable or is undesirable. 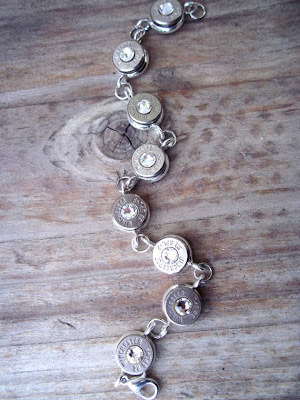 Lately, I have seen a ton of bullet jewelry pop up and think it is a fun way to repurpose used bullets. 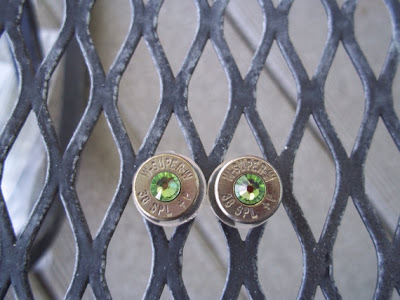 Sarah's Jewelry Designs on etsy has some of the nicest bullet jewelry out there and is hand crafted with quality and care. Sarah makes each piece and offers many different styles. Rings, earrings, necklaces, and bracelets are adorned with Swarovski crystals, giving off a brilliant sparkle. I really adore the above bracelet! Sarah recently sent me some of her fabulous jewelry and sent along something for you guys too! Want a chance to win these cute peridot green bullet earrings -- right in time for spring? Up to five entries will be counted. Giveaway closes March 27th at 11:00 pm EST. Winner will be announced March 29th. Good luck! 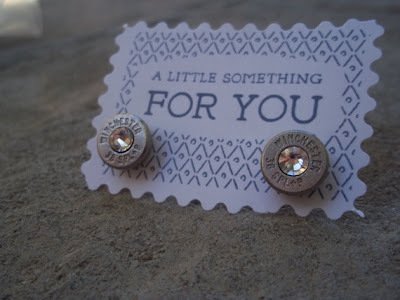 I love the Bullet Earrings Brass and Topaz! I like Like Sarah's Jewelry Designs on FB! 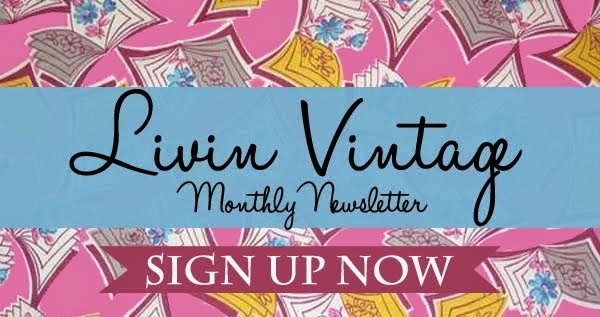 I like Like Livin' Vintage on FB! Bullet earrings garnet! So lovely! 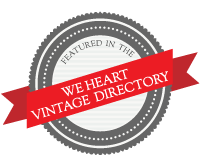 Liked livin' vintage on facebook! Liked Sarah's Jewellery Designs on FB! I love it all, but the Bullet Link Bracelet is my favorite. I like Sarahs Jewelry Designs on FB! 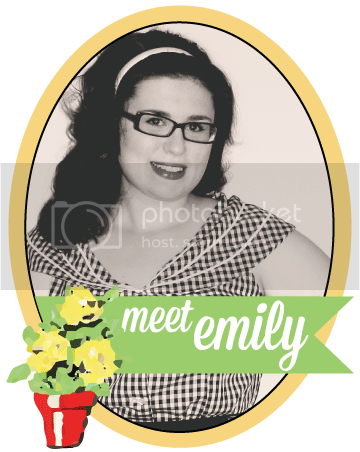 I like Living Vintage on FB! i also commented on my FB page. I love the garnet bullet ones too! These are such great fashionable choices in jewelry ! Love them! I like the Bullet Set In Blue Zircon! 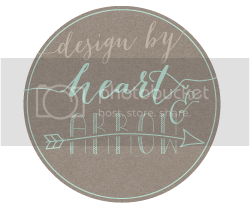 I liked Sarah's Jewelery Designs on facebook! I like Livin Vintage on facebook! 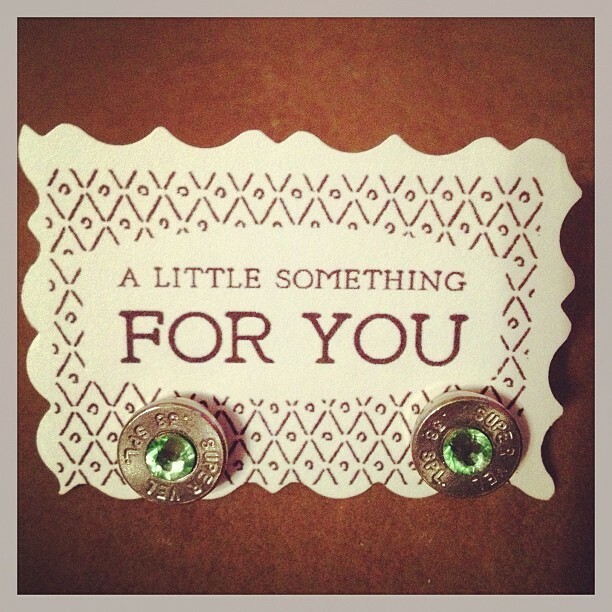 Nothing classier than pearl bullet earrings! The concepts of pearls with bullet is quite interesting, I liked the bullet earrings especially the peridot green bullet earrings. Thnaks for sharing such lovley designs, keep updating for more jewellery designs. these look so fun and comfortable to wear! Love your patterns here!! Bullet earrings will be good for me.